From 1 April 2013, providers of NHS general practice and other primary medical services (including walk-in centres and GP-led healthcare centres) are required by law to be registered with the Care Quality Commission. By registering, providers are giving assurance to their patients that they are meeting the CQC essential standards of quality and safety. Registration will also provide a way to address poorly-performing practices. 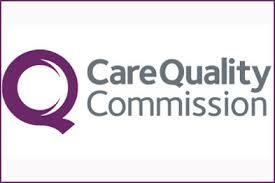 CQC has a range of legal powers to make sure providers meet the standards including fines and public warnings. When necessary, CQC can also use criminal or civil law, including prosecution, suspension or, in the most serious cases, cancellation of a provider’s registration. Bakewell Medical Centre has now registered its application along with other GP Practices, and we have a profile page on the CQC website, from which you can let the CQC know your experiences of the services we provide.